Are you finally angry enough to invest energy in fighting the true enemy? And that’s where we are. She’s not a mean woman. She’s just a person living in our society picking up on the vibe that pulsates through the air like an invisible shockwave. A toxic fume undetectable to those lacking contact with the Holy Spirit. She’s a good citizen and she’d never identify as someone on the side of evil. She supports Planned Parenthood. She is angry with Christians and rejoices when one falls. She hates ISIS but she blames their existence on all religions. She believes love means accepting everybody as they are except people with ugly non-inclusive views, deluded Jesus-followers, or Republicans. She is not our enemy. Jesus loves her and with His eyes, I love her, too. Social media is loaded with indignation, commentary, and vitriol these days. Sides are being drawn. Fighting words stated. The pot is being smoked and stirred. Satan is flooding the airwaves with destructive lies and loving the confusion that erupts. In times like these, in this present darkness, it’s easy to lose track of the true enemy. I’m angry. But, I’m angry enough to stay focused on the direction in which God’s Word points, not on the sleight-of-hand misdirection the prince of darkness is pulling. The woman in my story is like someone facing mustard gas without a mask. She’s helpless and if no one intercedes for her, no one covers her in prayer, her spirit is likely to remain in the dark. How about you? Are angry enough to direct your energy towards the true enemy? It’s not Josh Duggar. It isn’t Planned Parenthood. It’s not Hilary or Donald or Obama or even ISIS. It’s not the woman who’s angry at Christians. It’s the powers lurking behind the curtain pulling the smoke and mirrors levers, pumping the air with gaseous deception, and playing music with an alluring backbeat the draws people into a dance toward their own destruction. Have you been intending to spend more time in God’s Word? Have you been meaning to invest more time in prayer? Are you feeling like you ought to get more serious about your faith? 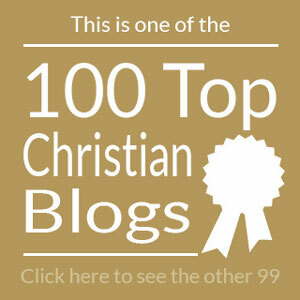 Put down this blog post, open your Bible, and hit the floor in prayer. I don’t know what you should be praying but God does. I don’t know where you should be reading but God does. I don’t know what changes you need to make but God does. In the midst of this firefight, in this present darkness, it won’t help you that I have my armor on, will it? I pray for all who read this blog, I intercede for you, but in the middle of a battle, every person is needed. I rely on you to intercede for me, loved ones. Maybe it’s time to say less on Facebook and more in the war room of our own prayer closets. Wait, did I say maybe? Scratch that. Now. Now is the time. We live in the times that matter. You who love the Lord and are shocked at the world’s disobedience, are you ready to obey Him in this and sacrifice time to pray light into this present darkness? My prayer is that you are. You spoke the words I was feeling, seeing so many sniping about the Josh Duggar scandal. If only we really could see the invisible warfare behind it all. As always, well said!! My favorite sentence … so articulate. A challenge to which I’m responding. God bless. good one Lori! agree with Lovelace, love the imagery about facing mustard gas without a mask. You go girl. Lori, This has been my heart also. When believers come to me with problems I remind them “We are in a Spiritual Warfare. Pray.” Thank you so much for speaking the truth.